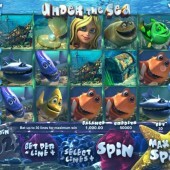 3D graphics, a lush underwater theme and atmosphere, images straight out of Finding Nemo: at first glance you'd be mistaken for thinking slot developer Betsoft Gaming were trying to muscle in on similar sea-based slots markets as their competitors. In actual fact, Under the Sea is quite reminiscent of Play 'n' Go's underwater-themed slot, Pearl Lagoon, or even NetEnt's watery slot game, Subtopia. Nevertheless, with Betsoft on board, you know you're in good hands: with a bundle of colourful graphics, friendly creatures populating the reels, and lots of bonuses, Betsoft are certainly on to a winner. A 5-reel, 30-payline video slot, Under the Sea comes with all the requisite features you'd expect from one of the industry's leading developers, and with betting starting at just $0.02 it caters for all pockets. The reels are full of aquatic delights, with the top-paying character the beautiful mermaid. She's accompanied on the reels by six varieties of friendly fishy friends, seemingly plucked straight out of a Pixar movie, treasure chests, and a sunken galleon. The Wild is the oyster/pearl, and it substitutes for all symbols other than the Scatter and Bonus trigger symbol. Not only does it help form winning combos, it rewards multipliers depending on how many you hit. For example, hit one Wild in a pay-line and you'll double your win. Hit three, meanwhile, and your multiplier rises to 8x. It's a great bonus for rewarding multiple Wild hits. The sunken ship symbol is the game's Scatter. Three or more of them across the reels triggers a basic free spins round, where a maximum of 15 freebies will be awarded for hitting five Scatters. All free spins wins are automatically doubled. Ok, so that's pretty standard in slots, but it's a nice little earner if you manage to trigger the round. Find the Treasure to Earn Some Coins Me Hearties! Finally, there's one more bonus to be activated. Look out for the treasure chest symbol, as three of those will trigger a special round where you have to find bonus treasure. Pick correctly and you'll bag extra cash. 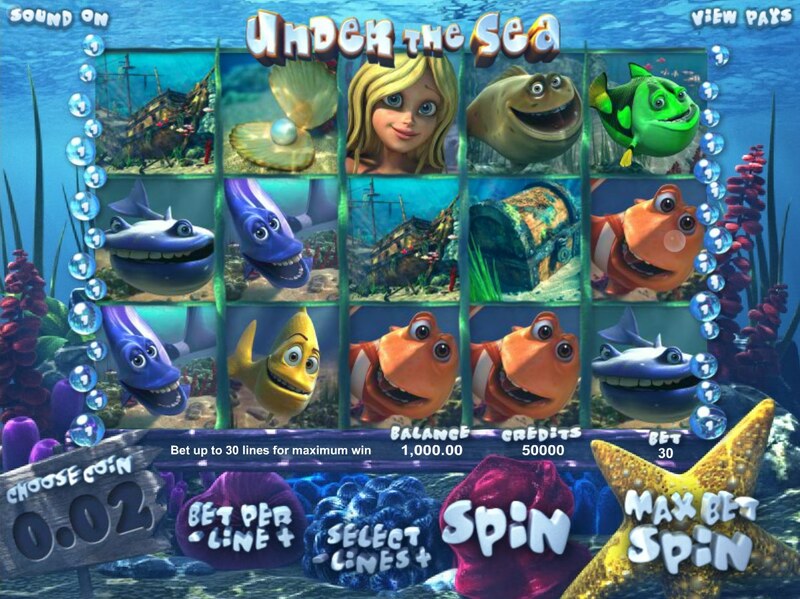 While not scaling the heights of some of Betsoft's other slots offerings, Under the Sea still proves to be a welcome diversion from some of the mediocrity on offer out there. Some pretty active bonus wins and great graphics are the real draw here. Dive in and bag yourself a big win!